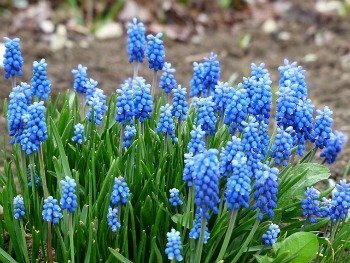 Time To Think About Tiny Spring Bulbs? 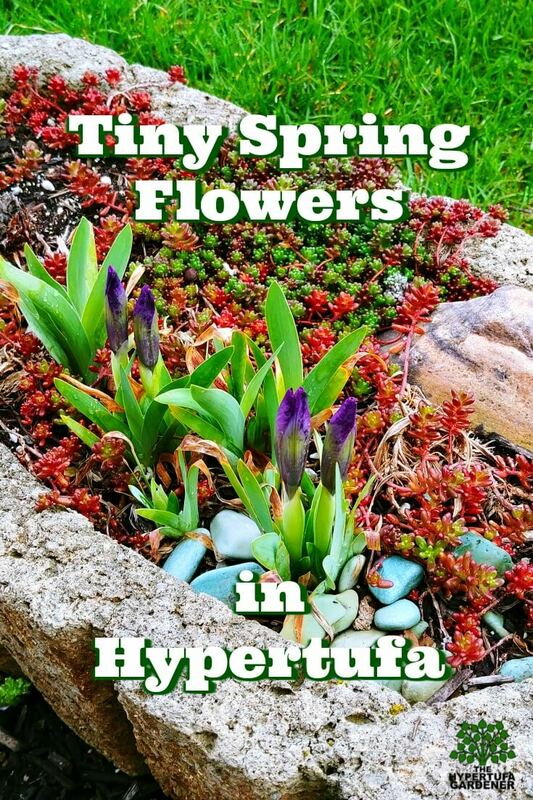 I am getting anxious to plan the spring bulb garden, and what is interesting me this year is some tiny, really tiny, miniature bulbs to plant in my hypertufa troughs this fall. I have checked around and I think I have a few lined up that will work perfectly! 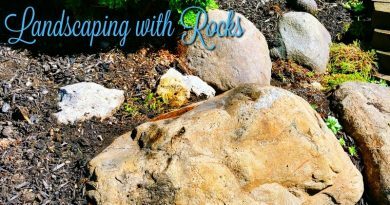 I will hold off and wait to plant them a little later in October, but I needed to find the best place to order them because I am not sure I can find the ones I want in the local nursery. How about we check Amazon? I will include some links here. 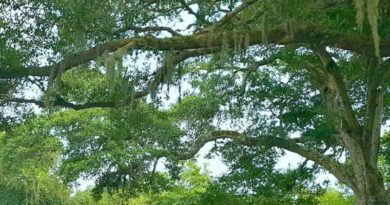 Being an affiliate of Amazon, if you should make a purchase, I can earn a small commission which helps support my blog expenses. Thanks for your support. 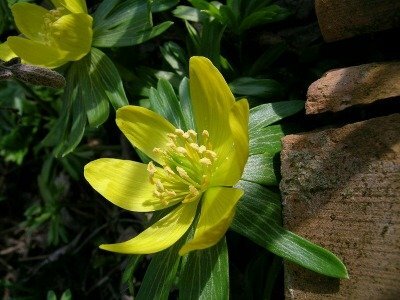 How about the winter aconite Eranthis hyemalis ? It grows about 4 inches tall and is supposed to spread easily. And I read that it comes up through the snow, then it dies back after blooming early, so this works for me. I will put it in a deeper trough and plant a sedum underneath the blossoms so that when it dies down, I will still have a wonderful trough. It will be a bright sight in the winter and early spring. 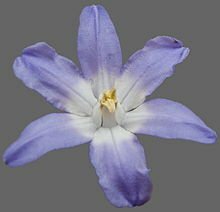 And for some blue, which will be so pretty in the snow, how about one called Glory of the Snow or chinodoxa. These do the same thing, flower very early and then go dormant after blooming. And since they need good drainage, my hypertufa will be perfect. They have a stalk with up to ten flowers on top and will be so cheerful looking. I must find these. 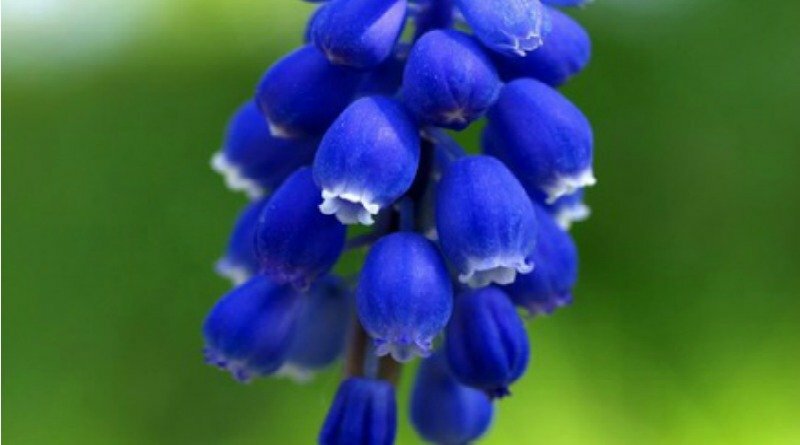 I already have grape hyacinth (muscari) , but it is in the bed with other plants. I want to get this one and plant it generously in a bowl or trough. Then I will put this on the deck outside the dining room window so that I can see it in the winter against the snow. Well, how about all of the troughs out there where I can see them right from inside the house? Sounds like a plan! 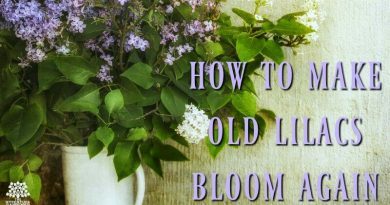 How to you feel about deadheading little bulb flowers? I think they should be deadheaded. I think I should cut the flower stem off after the bloom has faded, even cut it down to the bottom of the stalk, if any. I feel that if the flower spends its energy trying to make seeds, then it won’t feed its bulb for next years blooms. I want my bulb to make more bulbs and naturalize so that I have more and more. Now if you have interest in collecting seeds or hybridizing and all that involves, then maybe you feel differently. But I will deadhead the flowers. 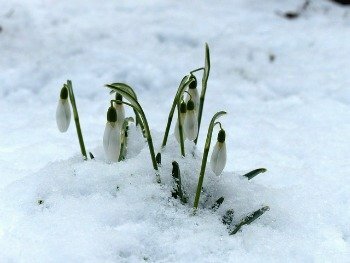 The snowdrop (Galanthus) is another flowering bulb which appears in the snow. I love the drooping flower head and I would like to have a whole drift of these among the other palette of colors. A common name given to the snowdrop is Fair Maid of February. I will start looking for them in February . Maybe if the snow isn’t too deep at that time, I will be able to see them. 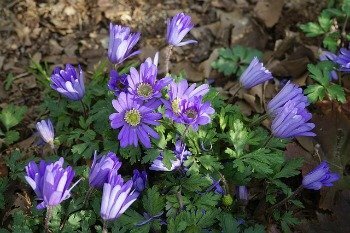 Another flower, which I have had in the garden for years is the Anemone blanda which is also called the Grecian windflower. Its flower is like a daisy and mine is a very intense blue. It lasts for just a little while and then, like these others, it is gone. These flowers’ locations are hard to remember. I know I have probably dug up and discarded a few, thinking they are weeds. How many times has this happened to you? I know I have done it many times, forgetting where things are located or forgetting something I had planted. I should be better organized, right? I have my mind on a few others such as miniature daffodils and mini-tulips and then there are the reticulated iris? I have some very tiny iris but I am not sure if these are the reticulated ones. They seem to fit the description. 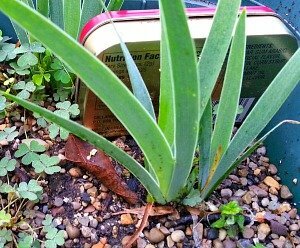 I bought those this spring at a Plant Sale and they were already little sprouted iris about 5-6 inches tall. These dwarf iris have come up each spring with blooms so big, they are like a Bobble-head doll. The foliage lasts all year, and looks like a regular iris. Here is a picture and I have put an Altoid mint box behind it so you can judge the size. What kind of iris is this? Am I correct calling it the reticulated iris? Is that just another name for the dwarf iris? Can you help me? Does it have a special name? If it is this type of iris, it grows from a bulb and not a rhizome as the larger iris do. No matter what it is, it is just precious in a hypertufa trough. Here in Ohio, we are predicted to get our first night in the 30s F this weekend. Just a taste of what is to come. I am SO NOT READY for winter snow and ice.